It’s On Again! 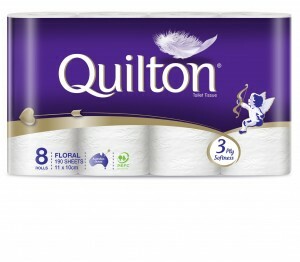 ABC Tissue is giving you the chance to win a year’s supply of Quilton. Australia’s Most Loved Toilet Tissue. Simply go into www.quilton.com.au and fill in your details and you will go automatically into the draw of the month you enter. Feel free to enter every month!